Trail mix. Skittles. French fries. Common and innocuous-sounding, these words take on new and decidedly non-culinary meaning when applied to substance abuse. Drug-related slang is nothing new, but some may be surprised to learn that these terms refer not to cocaine, heroin, or other illicit drugs, but to medications that, when used as directed, are perfectly legal. The growing popularity of prescription and over-the-counter (OTC) medication is attributable to one primary factor: accessibility. While street drugs are dangerous to procure (forcing users to risk personal safety and arrest to feed their habit), pharmaceuticals are readily available in most home medicine cabinets. Fueled by accessibility and high demand, medication theft—coined "pharmaceutical diversion" by the U.S. Drug Enforcement Administration—has escalated in recent years. The National Drug Intelligence Center reported that $184 million in prescription drug thefts occurred in 2010—a 350 percent increase since 2007. Particularly vulnerable are older adults, who may fall victim to unscrupulous caregivers or family members, or even to strangers hunting for an easy target. Several government and nonprofit educational campaigns have been launched to curb medication abuse and related crimes. The following prevention tips gleaned from these ongoing initiatives are designed to help older adults, caregivers, and crime prevention leaders who work with older adults to identify ways to keep this vulnerable population safe from victimization. Someone has been siphoning grandma's pain pills, but who is to blame? Could it be her 15-year-old grandson or her middle-aged daughter? Her home health nurse or the cleaning lady? Did a stranger sneak in when she forgot to lock the door last Wednesday? Finger-pointing is difficult, experts say, because the problem is so widespread. According to the National Institutes of Health, approximately 20 percent of Americans have used prescription drugs recreationally, typically to get high, ease anxiety, fit in with peers, or simply out of curiosity. Often medication addiction is a disease that spans all age groups. According to Amy Haskins, project coordinator for the Jackson County, West Virginia, Anti-Drug Coalition, recent statistics show that most overdoses now occur among 30- to 56-year-old county residents, whereas 16- to 24-year-olds previously accounted for most 911 calls. Drug of choice does vary by age range. Notably, the U.S. Department of Justice, National Drug Intelligence Center's 2011 National Drug Threat Assessment stated that adolescents have a significantly higher rate of nonmedical use of pain relievers (e.g., Vicodin) than the overall population and are more likely to abuse OTC cough medications containing dextromethorphan (DXM). Most incidents of prescription and OTC medication theft are committed by someone the victim knows well and who has unfettered access to the home. For example, more than three in five teens say prescription pain relievers are easy to get from the family medicine cabinet, while more than half say they are "available everywhere." Unfortunately, many older victims hesitate to acknowledge, much less report, theft when it implicates a trusted friend or relative. 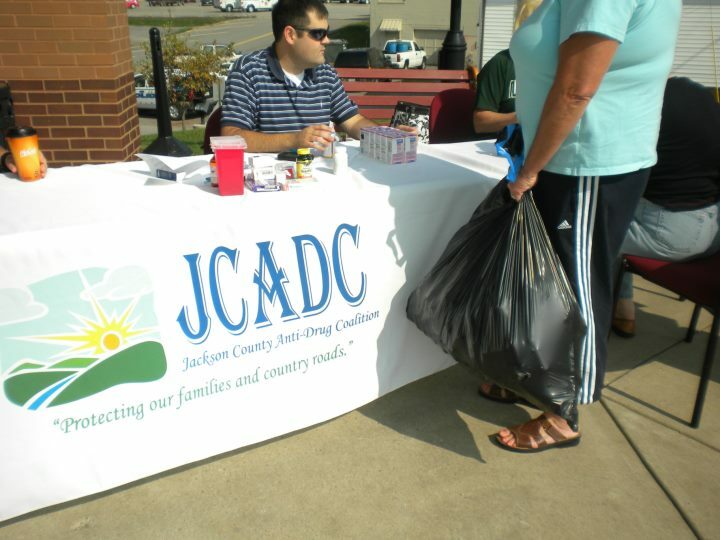 Organizations such as the Jackson County Anti-Drug Coalition typically must break through cultural and societal barriers before a dialogue about drug abuse can be established. "It's just been in the past two years that we've gotten people in Jackson County to acknowledge the existence of drug abuse," said Haskins. "That was a huge breakthrough. Before, the problem was very hush-hush." Often, victims hesitate to confront a suspected friend or relative for fear of causing that individual legal or financial problems. 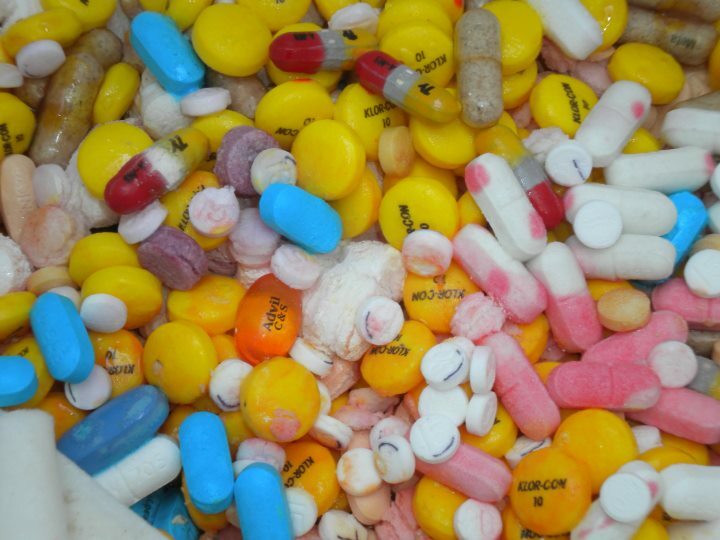 In such cases, education is paramount, says National Association of Triads, Inc., board member Betsy Cantrell, who has led several medication take-back efforts. If the relationship is amicable, she recommends making the suspected thief "aware that you're aware" and informing him or her that all medications will be counted and securely stored from then on. In some situations, law enforcement, Adult Protective Services, the area agency on aging, or other authorities may need to intervene. Reporting a loved one or trusted caregiver is a heart wrenching, yet critical, step on the road to recovery. However, Cantrell said, "The results of drug abuse can be disastrous. You have to think about the health of the person and let parents or friends know what is happening." In Louisiana, the Lincoln Parish Triad conducts neighborhood medication theft prevention presentations that target older adults and the organizations that serve this population. Community service agencies and health care providers also are working with the sheriff's office to identify habitual medication seekers and their older adults victims or potential victims. The goal of these programs is not to punish drug users but to ensure they—and their victims—receive appropriate assistance. "After a call comes in, we do random visits to the older person's home," explained Elder Service Officer/Investigator Deputy Emma Williams. "We let the victim know what has happened and provide tips for preventing repeated drug theft. In some cases, we may refer the case to adult protective services." The thought of confronting an armed robber strung out on drugs would frighten anyone, especially older adults and individuals with disabilities. In addition to neighborhood crime prevention programs, many law enforcement agencies provide reassurance (i.e. "Are You Okay?") services for older and infirmed adults to ensure their safety and allay fears of crime. Participants receive a daily call to check on their welfare. If repeated calls go unanswered, an officer or deputy is dispatched to the residence. Target-Hardening — Home maintenance issues such as burned-out light bulbs, overgrown shrubbery, and broken locks are a beacon to criminals, who typically case their targeted neighborhood before committing robbery in order to identify the least secure property. Therefore, target-hardening is at the foundation of every neighborhood crime prevention program. This task involves surveying the home to ensure that door and window locks are secure, lighting is adequate, and foliage that could conceal criminal activity is trimmed. 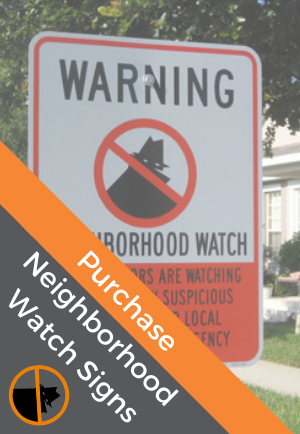 The Neighborhood Watch Toolkit contains a target-hardening flipbook and lighting audit instructions and forms to help volunteer leaders and residents get started (see ). Once assessments are completed, capable older residents, caregivers, and neighborhood crime watch volunteers should ensure that basic safety procedures are followed consistently. Most home invasions are crimes of opportunity, committed when a victim's guard is down, as the following example illustrates: A Delaware couple was recently charged with first-degree robbery and assault committed during a September 11, 2011, home invasion in which the two allegedly bound a 78-year-old man and ordered a 63-year-old woman to hand over their prescription medications. Police believe the perpetrators entered the home through an unlocked door. Know Your Meds — By learning the types of medications popular among abusers, and inventorying their home medication supply, patients can better assess their risk of being targeted for theft. According to the 2011 National Drug Threat Assessment, opioid painkillers (e.g., Vicodin, OxyContin) are the most widely abused class of controlled prescription medications. Others include central nervous system depressants (e.g., Valium, Xanax), which are used to treat anxiety and sleep disorders, and stimulants (e.g., Ritalin, Adderall), often prescribed for attention-deficit hyperactivity disorder (ADHD), the sleep disorder narcolepsy, and obesity. OTC medication abuse has surged, especially among adolescents and young adults. Most popular are cough suppressants that contain DXM, which are consumed in large doses to induce visual and auditory hallucinations (called "robo-tripping" or "skittling"). Other commonly abused OTC medications include laxatives and diuretics, inappropriately taken to lose weight; motion sickness pills; sleep aids; pain relievers; and sexual enhancement medications. Take Inventory — One of the Jackson County Anti-Drug Coalition's first projects involved teaming up with the University of Charleston School of Pharmacy to offer informational PowerPoint presentations to older adults at local senior centers. "We asked the pharmacy students to conduct the sessions in case there were questions about specific medications," said Haskins. "The students emphasized the importance of locking up your medications and counting pills to ensure that none are missing. You have to be diligent to know what's in your house and account for all your medications, regardless of whether it's a stranger or your best friend who walks through the door." For home-bound or mobility-impaired individuals, keeping entryways locked often isn't practical, especially if healthcare providers, meal services, and other caregivers require frequent access to the home. In such cases, storing medications in a combination safe or lockbox can deter would-be thieves. Writer Marcus Pickett of the Pennsylvania Elder Care Examiner recommends leaving out a few doses of each medication (enough to get the patient through weather emergencies or other times when caregivers are unavailable). If dementia or physical ailments prevent the patient from monitoring his or her own medication supply, Pickett recommends delegating authority to a trustworthy friend or family member. Patients and caregivers should learn to recognize these signs, especially if they suspect theft. Follow any disposal instructions on the drug label. Do not flush medications unless the instructions specifically say to do so. If no instructions are given, take medications out of their containers and mix them with an undesirable substance (e.g., kitty litter, coffee grounds) to make them less appealing to children, pets, and others. Place the mixture in a sealable bag, empty can, or other container before putting it in the trash in order to prevent leaks or tears. Sponsor or participate in community drug take-back events. Call your local trash and recycling service, police or sheriff's office, or Triad to see if a take-back program is scheduled in your community. Many pharmacies now offer take-back services as well. Before trashing or recycling empty medicine containers, always scratch off label information, including the patient's name and Rx number, to protect his or her identity and privacy. Stay Alert — Last year, a 70-year-old woman from Millville, New Jersey, was getting into her car after leaving the pharmacy when she was surprised by an assailant who grabbed her from behind, threw her against the vehicle, and made off with prescription medications she had purchased for her husband. In the Gibson case, one assailant knocked on her door prior to the attack and gleaned that she was home alone simply by asking if a made-up person lived there. Patients and caregivers should always remain vigilant, both at home and when traveling to and from the pharmacy or doctor's office. "Don't advertise your medications any more than you would a diamond necklace." Cantrell advises. "Remember that you are carrying something very desirable and valuable." The consequences of medication abuse are sobering. According to the Centers for Disease Control, abuse of opioid pain relievers leads to more fatal overdoses—11,499 in 2007 alone—than heroin and cocaine combined. Continued education and training within the older adult community are vital if we are to reverse this potentially lethal trend.